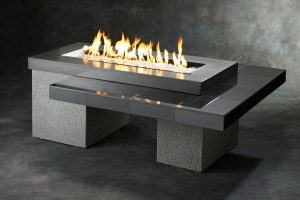 A grill with exceptional cooking performance, seasoning and good timing may be everything you need to serve that perfectly cooked, succulent steak that will impress your guest. 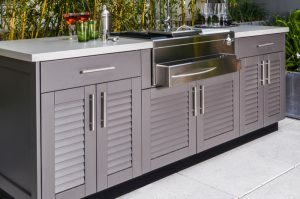 The DCS product line offers all the accessories you need to configure a professional grade outdoor kitchen that is right for your entertainment area. 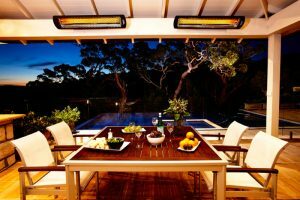 DCS Grills have been expertly designed since 1989 to complement your outdoor experience and to suit your taste and style. Simplicity, customization, ease of use and installation are some of the most important characteristics that set the DCS grills apart. You will enjoy many years of great cooking on a DCS Grill which comes with a Lifetime Warranty on all stainless steel components, including the burners. Whether you choose the fully built-in integration or want the flexibility of a cart, you have it all set for great performance. Deciding on the right layout that will best suit your entertainment needs can be tricky. 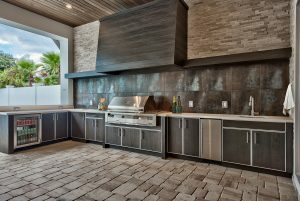 If you’d like help selecting the right kitchen equipment or designing an outdoor kitchen feel free to set up an appointment for a NO-obligation design consultation at 760-772-1182 or visit our Palm Desert showroom.